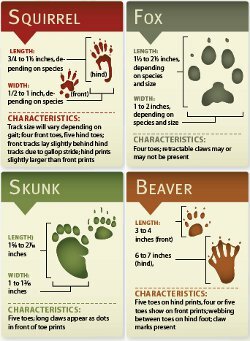 Would you by chance have these animal track cards without the colored background? I really would like to print these on white cardstock to use as games in our event during the lunch hour and to have on hand for scouts that finish their merit badge session early. Planning on cutting the colored titles out then lamination to the two pieces and the Scouts have to match them up. Thankfully there are several colors for choices for each color: red, green and gray. Hi, I am helping with our summer Twilight Camp and these are a good way to help the kids with identification and to lead them to their next activity. Put out signs with the print in their den's color along the path they need to take for the night. At some point have a sign with the info from each card. At the end of the night they guess what the animal is and flip the sign over to see if they are correct. Since we have multiple dens and do activities for 4 days we are using 8 animals so they can do 2 animals a day. Just thought this might help someone else out!